Explanation: A cosmic grain of sand left the long and colorful trail across this all-sky view. Its grazing impact with planet Earth's atmosphere began at 71 kilometers per second. With the Milky Way stretching from horizon to horizon, the scene was captured on the night of November 17 from the astronomically popular high plateau at Champ du Feu in Alsace, France. 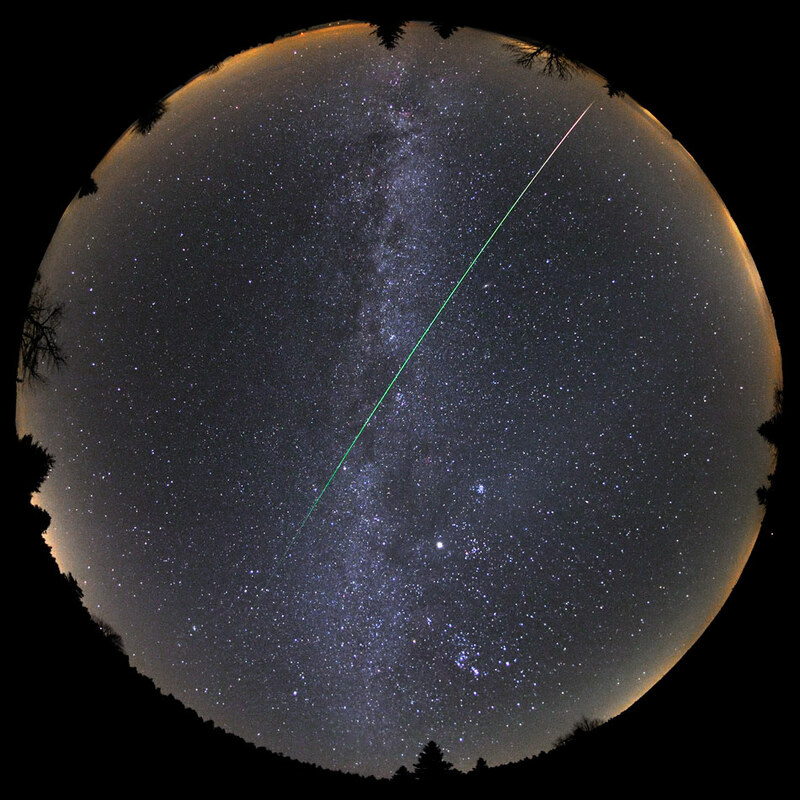 Of course, the earthgrazer meteor belongs to this month's Leonid meteor shower, produced as our fair planet annually sweeps through dust from the tail of periodic Comet Tempel-Tuttle. The shower's radiant point in the constellation Leo is very close to the eastern horizon, near the start of the trail at the lower left. Bright planet Jupiter is also easy to spot, immersed in a faint band of Zodiacal light just below and right of center. The image is part of a dramatic time-lapse video (vimeo here) that began only 7 minutes before the long leonid crossed the sky.